SANTIAGO, Aug 17 2015 (IPS) - Latin America should assume a position of global leadership by adopting effective measures to protect the oceans, which are threatened by illegal fishing, the impacts of climate change, and pollution caused by acidification and plastic waste. 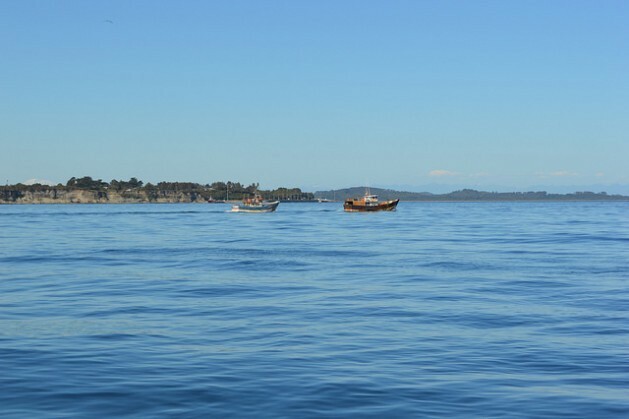 “The whole world is lagging in terms of effective measures to protect the oceans, and Latin America is no exception,” Alex Muñoz, executive director of Oceana – the world’s largest international organisation dedicated solely to ocean conservation – in Chile, told Tierramérica. The perfect occasion for that, he said, would be the second international Our Ocean Conference, to be held Oct. 5-6 in Valparaiso, a port city 120 km northwest of Santiago, Chile. In the conference, 400 government representatives, scientists, members of the business community and environmental activists from 90 countries should “commit to carrying out concrete actions to tackle the grave threats that affect the oceans,” Chile’s foreign minister, Heraldo Muñoz, told Tierramérica. “The big global themes should be addressed from a broad, inclusive perspective,” the minister said. The central pillar of the global system for governance of the oceans is the United Nations Convention on the Law of the Sea (UNCLOS), adopted in 1982, to be completed with a treaty to govern the mostly lawless high seas beyond national jurisdiction, as the U.N. General Assembly decided in June. The first edition of the international conference on oceans, held in 2014 in Washington, gave rise to alliances and voluntary initiatives for more than 800 million dollars, aimed at new commitments for the protection of more than three million square km of ocean. In Valparaíso, meanwhile, the participating countries will report the progress they made over the last year and undertake new commitments. “These meetings generate healthy competition between countries to make announcements that otherwise wouldn’t be made,” said Oceana’s Alex Muñoz. “We only have a few years to curb the deterioration of the ocean, especially of the fish stocks, and these conferences help us accelerate marine conservation policies with a global impact,” he said. He was referring to the U.N. accord on the Conservation and Management of Straddling Fish Stocks and Highly Migratory Fish Stocks, signed in 1995. Chile, he pointed out, is one of the countries that signed the agreement after the first Our Ocean Conference. Oceans cover more than70 percent of the planet’s surface, but only one percent of the world’s oceans are protected. Between 50 and 80 percent of all life on earth is found under the ocean surface, and 97 percent of the planet’s water is salty, according to U.N. figures. Phytoplankton generates about half of the oxygen in the atmosphere through photosynthesis, and the vast variety of highly nutritious products provided by the oceans contributes to global food security. A study published in April by the World Wildlife Fund (WWF) estimates that the oceans conceal some 24 trillion dollars of untapped wealth. Oceans are also an inspiration for artists and for poets like Chile’s 1971 Nobel Literature prize-winner Pablo Neruda (1904-1973). But the WWF study warns that the resources in the high seas are rapidly eroding through over-exploitation, misuse and climate change. Latin America, where five of the world’s 25 leading fishing nations are located – Peru, Chile, Mexico, Argentina and Brazil, in that order – is not free from these dangers. 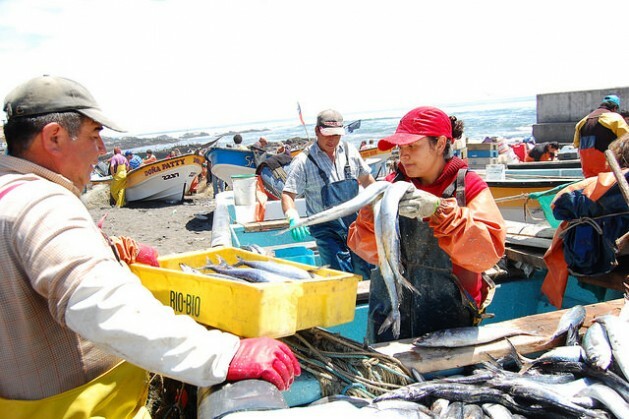 In Chile, 16 of the 33 main fisheries are in a critical situation due to over-exploitation, according to a government report. Climate phenomena threaten large-scale anchovy fishing in Peru, the world’s second largest fishing nation after China. Illegal fishing, meanwhile, is jeopardising some species of sharks, like the whitetip reef shark (Triaenodon obesus), found along Central America’s Pacific coast, as well as the Patagonian toothfish or Chilean seabass (Dissostichus eleginoides), and sea cucumbers (Holothuroidea). To this is added the severe problem of pollution from plastic waste faced by the world’s oceans. In 2010 an estimated eight million tons of plastic were dumped in the sea, killing millions of birds and marine animals. Plastic represents 80 percent of the total marine debris in the world’s oceans. Ocean acidification, meanwhile, is one of the consequences of climate change, and its effects could cause major changes to species and numbers of fish living in coastal areas over the next few years. At this year’s conference, he said, the main focuses will include the role of local island communities and philanthropy at the service of marine protection and conservation, and there will be a segment on governance, exemplified in the system for the regulation of the high seas. He also announced that U.S. Secretary of State John Kerry, the creator of the initiative, confirmed a third edition of the Our Ocean Conference, to be held once again in Washington in 2016.